Saving Money Strategically on Groceries Part 1 of 2! There are a number of strategies you can use to save money on your grocery bill. No matter where you shop for food. No matter in which province you live. No matter your lifestyle. With a little bit of preplanning and organization, you can drastically reduce your food bill! This is part 1 of a 2-part article. Part 2 will appear on a future date. Save with High Value Coupons! – Over the past year, there has been a noticeable climb in Free Product Coupons (FPCs) and high value coupons for Canadians. Some of the free coupons have included free bacon, pasta, chocolate, chips, gum, air fresheners and more. There has also been a whole slew of Buy One Get One Free Coupons (BOGO) available for cereal, bread and other essential products. 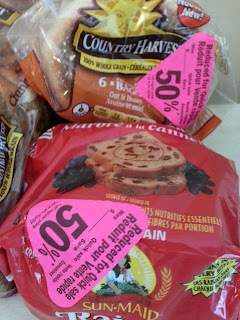 These coupons can be found for on Facebook, Save.ca or Websaver.ca. Use a BOGO coupon when the product is on sale, and you save more than 50% off! 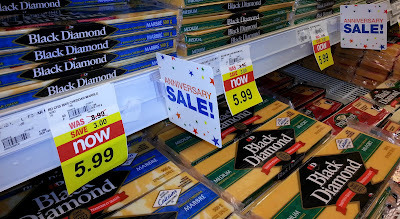 It also should be said that conventional coupons can help bring down your grocery bill by tens of dollars, especially when paired with a great sale! Shop Sales Comparatively – Shop sales comparatively! Check your local flyers for deals on the products that you use most—and then see what the other stores are charging for the same. 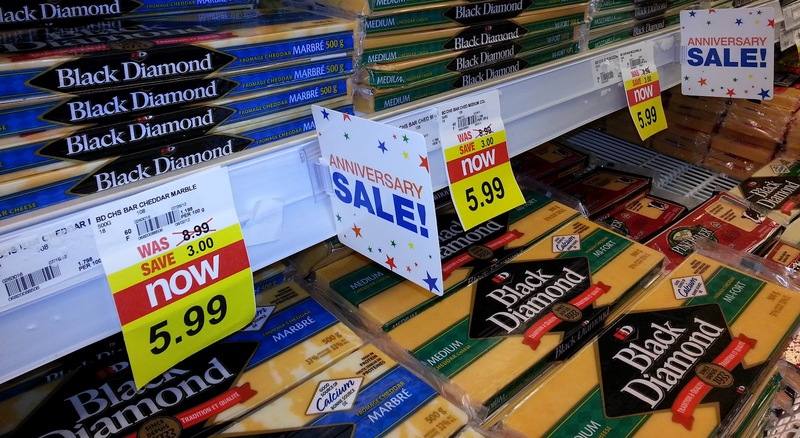 Quite regularly, the same product will be on sale at multiple stores—but all at different prices! Find the best price, and you could save BIG! Your newspaper or local paper is a good source for flyers. Saveland.ca and Flyerland.ca are also excellent resources for viewing the current online flyers for your region. Bulk Up, Baby! – It is often cheaper to buy food in bulk than in the single serving size. For example, the family-sized box of cereal (680g) generally works out much better than the smaller (305g) size. This rings true of the 8-pack chicken drumsticks, as opposed to the 4-pack. Or the 12-pack of Kraft Dinner macaroni, instead of just purchasing a single box, for example. I would recommend comparing the unit price of each to make sure you are securing the best price. Hats Off to Half Off! – If your grocery store has a discounted section of products about to reach their “best before” dates, it is well worth having a look! I regularly purchase 50% off meats, poultry and breads, and freeze them for later use. 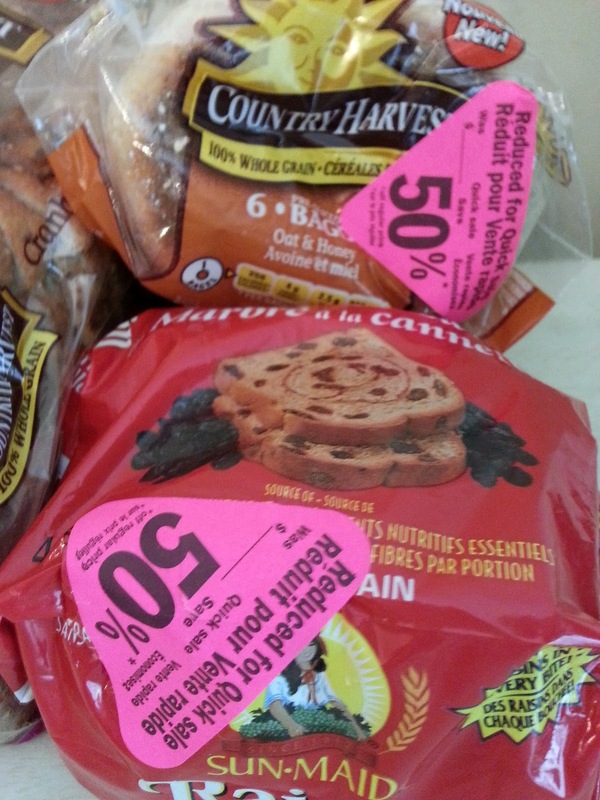 Bananas that are starting to speckle are a score at 50% off for banana bread or muffins, smoothies and more. I have also purchased 50% off baby formula that was weeks away from expiry. Use your coupons in tandem with the half off section, and you will save more than 50% off! This article is written by me, Jenna Em, and appears in the Wednesday August 1st, 2012 edition of the Kuklamoo blog. thanks for posting these awesome tips! These are really great tips on saving money! I also recommend a food saver and a freezer. I know those items are expensive, but I think they do pay for itself in the long run. I like to buy bulk, but there's no point in buying bulk if you can't preserve the food such as sealing it or freezing it.